When are standpipes required and what are the installation requirements? When is a standpipe system required? What type of standpipe system is required? Where are the required hose outlets located? What is the required pressure at the hose outlet(s)? What is the required flow rate of the system? What are the requirements for the fire department connection (FDC)? Which outlets are flowed in a hydraulic calculation? How is the fire department apparatus defined and used in a hydraulic calculation? Is a standpipe system required to be installed in the building? The requirements for a building standpipe system are contained within the adopted building code for that jurisdiction. 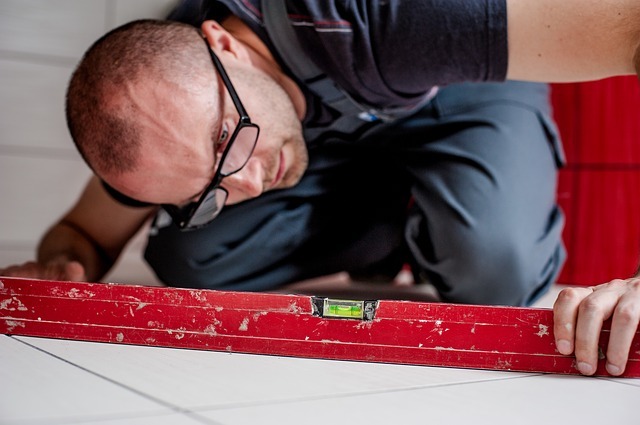 In the majority of states and cities within the United States, the adopted building code will be an edition of the International Building Code (IBC), which may be adopted in full or adopted with modifications and then becomes the state or city building code. 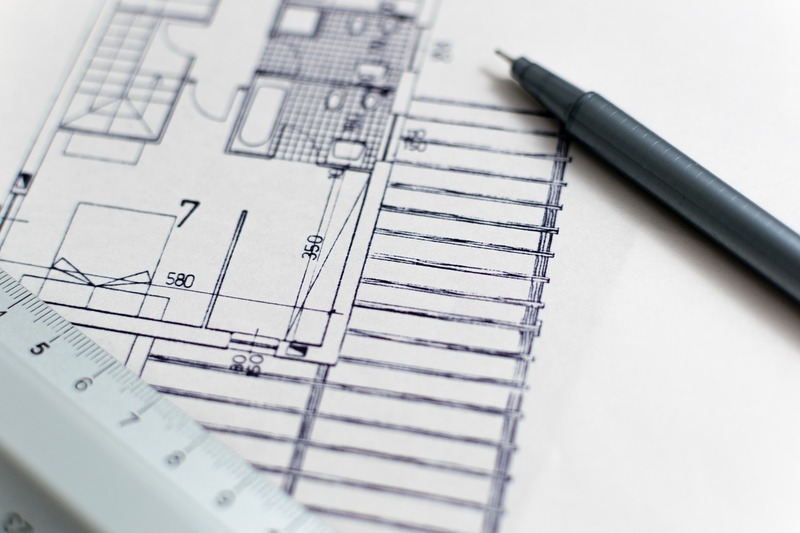 In Virginia, the current referenced code is the 2012 edition of the IBC, which Virginia amends into the Virginia Uniform Statewide Building Code (VUSBC). The current edition of the IBC is 2015, therefore all further references to the IBC will be to the 2015 edition. The majority of installation requirements for a building standpipe system will be contained in NFPA 14 as referenced by the IBC. 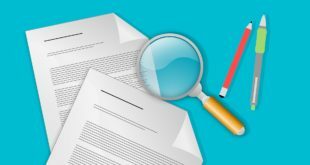 Chapter 35 of the IBC contains the applicable version of standards referenced within the text of the IBC. In the 2015 IBC the applicable version of NFPA 14 is the 2013 edition. All further references to NFPA 14 in this article will be to the 2013 edition. If the building does not meet any of the eight criteria listed above, a standpipe system is not required by the IBC. NFPA 14 identifies three classes of standpipe systems: Class I systems designed for use by fire departments with 2 ½-in. hose connections, Class II systems designed for use by trained personnel or fire departments with 11/2-in. hose connections, and Class III systems designed for use by trained personnel or fire departments with both 1 ½-in. and 2 ½-in. hose connections. These systems can then be designed as a combination of a wet, dry, automatic, manual, or semiautomatic system as defined and required by NFPA 14. Under IBC Section 905.3.1, “Height,” that requires a standpipe be installed throughout buildings as discussed previously, the required type of standpipe is a Class III system. In most buildings the standpipe system can be designed as a Class I system due the provision of Exception I to Section 905.3.1 of the IBC for buildings protected throughout by automatic sprinkler systems. NFPA 14 permits Class I standpipe systems to be manual wet systems for buildings not classified as a high-rise, therefore all further discussions in this article will be based on the requirements for a Class I wet manual standpipe system. Where are the Required Locations of Hose Outlets? An outlet is required at the intermediate landings in all “required” interior exit stairways. If the stairway is not a required means of egress stairway, outlets are not required. The fire code official is permitted to allow the outlets to be located at the main landings in lieu of the intermediate landings. An outlet is required on each side of a wall adjacent to the exit in a horizontal exit. An outlet is required at the entrance from an exit passageway to other areas of the building. An outlet is required on the roof or at the highest landing of an interior exit stairway with access to the roof when the roof has a slope of less than 4 to 12. As required by the fire code official when the most remote portion of a floor is more than 150 ft (nonsprinklered) or more than 200 ft (sprinklered) from an outlet. An outlet is required in covered malls adjacent to each exterior public entrance and adjacent to each entrance from an exit passageway or exit corridor to the mall. An outlet is required in open malls adjacent to each public entrance to the mall at the perimeter line and adjacent to each entrance from an exit passageway or exit corridor to the mall. The minimum design pressure for a standpipe system is contained in Section 7.8, “Minimum and Maximum Pressure Limits,” of NFPA 14. A hydraulically designed system is required to provide a minimum residual pressure of 100 psi at the most remote 2.-in. outlet on a Class I system. The 100 psi minimum requirement is based on the principle that most fire departments operate their interior attack handlines with combination nozzles, which are designed to operate at 100 psi residual pressure. 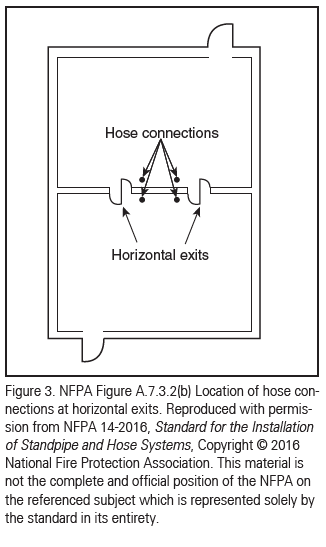 Despite the nozzles being designed for 100 psi, the NFPA 14 requirement is not at the nozzle but at the inlet to the handline (literally at the outlet of the hose connection). The required flow rate of a standpipe system is contained in Section 7.10, “Flow Rates” of NFPA 14. A Class I standpipe system is required to flow 500 gpm (gallons per minute) at the most hydraulically remote standpipe through the two most remote outlets. Previous editions of NFPA 14 have required that the most hydraulically remote standpipe be provided with two outlets at the top to provide the required 500 gpm flow. An additional 250 gpm is added for each additional standpipe in the building. The maximum flow rate is 1,000 gpm for buildings protected throughout with an automatic sprinkler system and 1,250 gpm for buildings that are not. For a Class I horizontal standpipe system with three or more connections on any floor the minimum flow rate for the most hydraulically demanding horizontal standpipe is 750 gpm. What are the Requirements for the Fire Department Connection? 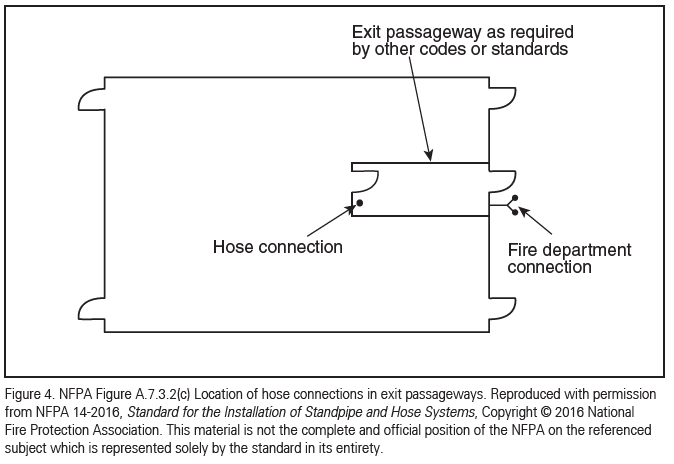 As with the standpipe system itself the requirements for the installation of the fire department connection (FDC) are contained in the IBC and NFPA 14. 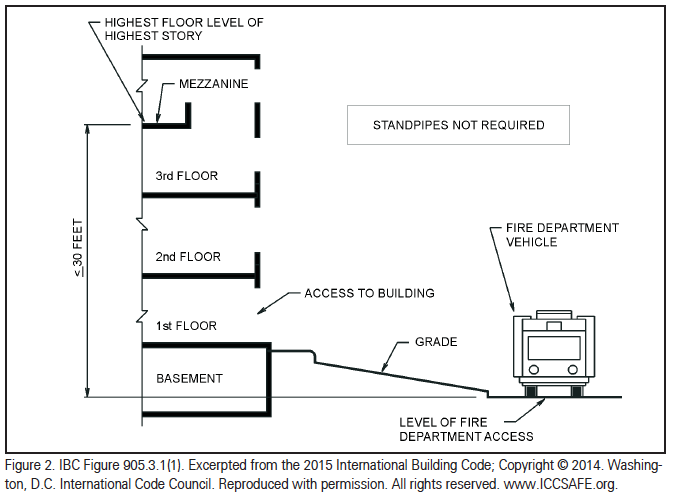 Section 912 of the IBC contains requirements on the location, inlet fire hose threads, access, and signage for the FDC. The main issue to remember with these requirements is that the final location of and access to the FDC shall be approved by the fire chief, which may not be the same individual as the fire code official mentioned previously. 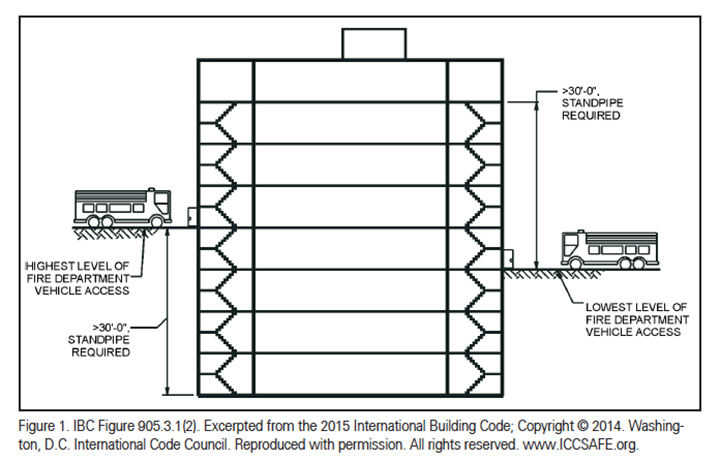 Section 7.12 of NFPA 14 contains the installation requirements for the FDC. The most commonly misunderstood requirement during the system design and installation by both the designers and the local fire department is the requirement under section 7.12.3 that the FDC be sized based on the standpipe system demand and that one 2-½ inch inlet be provided for every 250 gallons per minute of design flow. Therefore, a standpipe system with a design flow of 1,000 gallons per minute is required to have an FDC with four 2-½ inch inlets. The author once had a local fire chief state that the designed four 2-½ inch inlets were not correct and it should be replaced by a two 2-½ inch inlet. When the author explained that the four 2-½ inch inlet FDC was required by code, the fire chief responded that his firefighters would not know which two inlets to attach to, as their standard fire ground operations were to provide two supply lines to the FDC from the pumper. After a discussion on the system design and operation, the chief understood the requirement for the four inlets and planned to modify the department’s standard operating procedure and training for supporting buildings with standpipe systems. The requirements for completing a hydraulic calculation for a standpipe system are contained in Section 7.10.1.2 of NFPA 14. The procedure is similar to the calculation method for a sprinkler system. To perform the system hydraulic calculation the required flow and pressure at the most hydraulically remote hose outlet is determined and the demand is calculated back to the city supply accounting for flows at additional standpipes, elevation changes, and friction loss through the system pipes and fittings, and fixed or mobile pumps. As stated above, a Class I standpipe system is required to flow 500 gpm at the most hydraulically remote standpipe through the two most remote outlets. An additional 250 gpm is added at the most hydraulically remote outlet for each additional standpipe in the building, to a maximum of 1,000 gpm for a sprinklered building. If the standpipe calculated system demand is less than the supply, the design is acceptable. 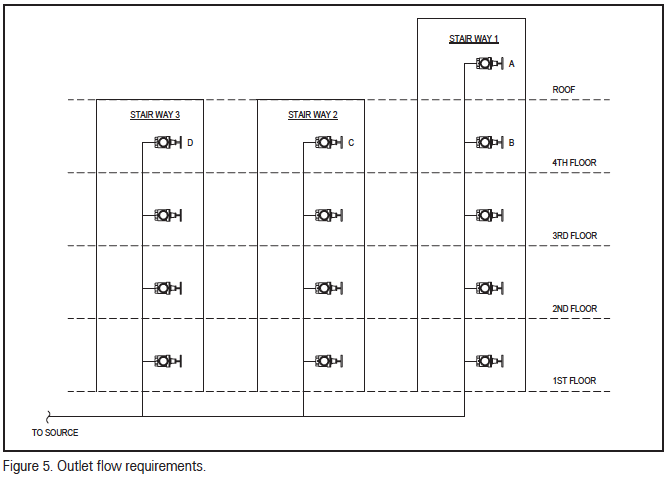 An example of which outlets are required to be flowed to conduct the system hydraulic calculation can be found in the following figure. To meet the 500 gpm requirement at the most hydraulically remote standpipe 250 gpm would be flowed from outlets A and B. To meet the 250 gpm additional flow from each additional standpipe 250 gpm would be flowed from outlets C and D.
50 percent of rated capacity at 250 psi net pump pressure. Therefore an apparatus pump rated at 1,000 gpm will be able to deliver not less than 1,000 gpm at 150 psi net pressure, 700 gpm at 200 psi net pressure, and 500 gpm at 250 psi net pressure to the standpipe system. This “typical” curve is different from the typical curve for a stationary fire pump under NFPA 20. Assuming the local fire department standard operating procedure was to connect to the FDC with 100 feet of 2-½ inch line to each inlet, the friction loss in each line would be 2(2.5)2(1) or 12.5 psi. These losses can be included in the hydraulic calculation as fixed losses between the fire department connection and the apparatus pump. Other methods of calculating friction loss in hoses are available and the designer should verify which method is acceptable with the Authority Having Jurisdiction. 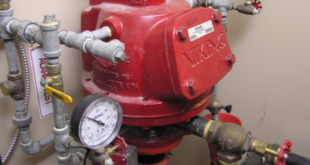 In determining the requirements for and designing a standpipe system for a building the responsible engineer needs to know the requirements of both the local building code and referenced NFPA standard. In addition to these documents the responsible engineer needs to consult and work with the fire protection contractor and AHJs to ensure that all parties understand the design and installation requirements and that the design supports the responding fire department operational tactics. 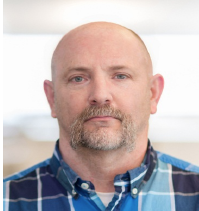 ABOUT THE AUTHOR: Rick Alpert is a senior fire protection engineer with Clark Nexsen Inc., an architectural and engineering firm, in its Virginia Beach, Virginia office. He has over 32 years of experience in the design, construction management, and commissioning of public, private and commercial projects including projects for high-rise residential and office buildings. In addition to his engineering career Alpert has been involved with the volunteer fire service for over 40 years and has served in many leadership positions within local fire departments including those of vice president and chief. He holds several national certifications including ICC Building Plans Reviewer and Pro Board Fire Officer II.